Long fibre spinning, yarn twisting and control, heat setting, carpet systems, nonwovens, dyeing and finishing, air and recycling processes. Seven French Machinery manufacturers, often world leaders on these specific markets, will exhibit their latest developments and know how in Shanghai. Evelyne CHOLET, Secretary General of their Association, says, «at ITMA ASIA+CITME, these companies will be easier to find and, I think, more useful to the visitors than Pokemons». More seriously she adds, « the most well-known textile machinery inventor, Jacquard, was French. Research and development is our DNA. ITMA ASIA+CITME visitors, from China and other Asian countries, should visit our booths to discover each individual company’s innovations. Our companies are SME’s run by entrepreneurs. Innovation is derived mainly from down to earth partnerships with our clients ». Hubert TRETSCH, of SUPERBA and President of the Association’s promotion Committee would like to focus “on the very effective networks which have been set up by each company to offer the best service to the most remote customers’ locations, service and spare parts. These are very important to get the best use of the machines, and at the end, the best bottom lines for our customers ». For textile machinery, the Asian markets are most important, particularly the Chinese market which has been more difficult in recent months. Evelyne CHOLET comments “we believe the Chinese textile industry will rebound thanks to its national market. When I travel all over China, I see that most Chinese like fashion as much as smart phones, that they are ready to spend money on apparel. Then I think that the Chinese national market will grow at a fast rate and that the best, most efficient, energy conscious machines will be more and more needed to produce apparel, home and technical textiles. We are well positioned to answer our customers’ needs. Once again, ITMA ASIA+CITME will be a very good opportunity to welcome our customers and establish new contacts”. Over the past years, we have been daily reminded the acute environment problems and the shortage on raw materials. This why LAROCHE is proud to have been one of the leading companies around the world, deeply involved in the development of the textile waste recycling technologies, achieving great processes and continuously helping to discover new ecofriendly solutions for the future. 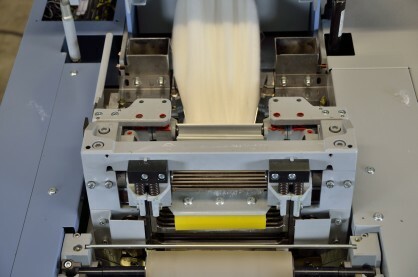 LAROCHE offers today complete processes to open into fibers almost all types of textile waste. Taking as example, the post-consumer garments, LAROCHE’s technologies can open the used garments into fibers removing all the bottoms and zips. To spun yarn again, saving cotton raw material which will reduce water consumption, pesticides on our field and chemicals used during the dyeing and finishing process. For nonwoven, using LAROCHE AIRLAYS technologies. The open fibers could be used as sound acoustic insulation felt for the automotive industry or for building as thermic insulator felt which will reduce energy for heating or for cooling inside the rooms. As another example, LAROCHE will supply this year, in Spain, a complete turnkey process to one of the leaders on the paper industry, to clean the vegetal trashes and mineral dust from the gin motes used as raw material. The better cleaning, opening and dosing of these fibers on the existing line, will allows reducing water, chemicals and increasing the quality of the final product. The objective is to recycle most all textile post-consumer waste to bring a life to new products. FIL CONTROL is recognized for its first class yarn sensors and cutters. The company will present a full range of new and innovative products during ITMA ASIA 2016. The new MYT-T tension sensor uses an innovative and unique on-line tension measurement technology with the advantage of limiting temperature influence and avoiding tension pick to break the sensor head. This sensor is already used on the technical yarn industry and will be adapted soon for other assembling, winding and texturing operation. AESA Air Engineering is a global leader in industrial air conditioning which is so important to optimize the production processes in the textile industry. In Asia, AESA has offices in India, Singapore and China and a network of agents in many other countries. AESA combines rigor and experience, particularly for the textile industry, in which the company teams are specialized in spinning, weaving, knitting, nonwovens, dyeing and finishing, man-made fibers. The custom made solutions for each factory are focusing on optimizing the added value in term of precision, reliability, waste management and energy savings. SUPERBA is the largest and most experienced manufacturer of high-tech heat- setting machinery. Since July 2015, SUPERBA is part of the family of companies from the Belgian group VANDEWIELE with very strong synergy effects in the carpet field.The company develops and produces integrated heat- setting lines for the processing of yarns that are used in the carpet manufacturing industry. China is an important market for SUPERBA: The Company has established SSRO, a local representation in Shanghai since 2005, under the responsibility of Mr. David Zhang. In addition, in 2008, the company has opened HUASHEN, a warehouse able to deliver OEM high quality spare-parts to the Chinese customers all over China with no delay. The well-known TVP3 heat-setting line is the main product of the company and has been significantly improved over the years leading to the latest version TVP3s that was presented at ITMA 2015. This line is very often completed with friezing devices: here also, the famous MF4 has evolved to the new patented MF400 friezing box, offering the carpet manufacturers a wider range of frieze effects and a newer style of yarn with very even waves. This friezing box can be used as a stand-alone accessory MF400, or be integrated into the new MLU universal laying head that enables to switch from straight-set to frieze mode within minutes. SUPERBA, already mastering the sophisticated space-dyeing technique for years, is now offering their latest machine type MCD3: this new version is able to continuously dye a bundle of 72 yarns, with a production of up to 300Kgs/h and a range of six spot colors. The new MCD3 also permits a new style of space-dyed yarn thanks to its exclusive bi-color technology, offering the carpet designer a wider range of possibilities. SUPERBA also provides the LV3 steaming and shrinking lines for the heat setting of acrylic yarns used in high density - high quality Persian carpets, now extended to 96 ends with a production of up to 10T/day. DOLLFUS & MULLER, founded in 1811, manufactures endless felts and dryer belts for the textile finishing and nonwovens factories. 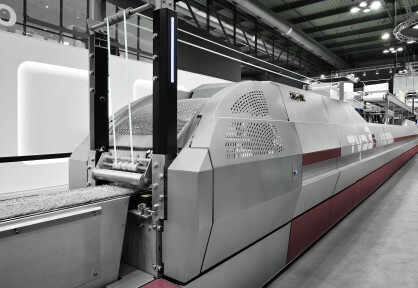 DOLLFUS & MULLER will introduce during ITMA ASIA its improved compacting felt for knit finishing with major evolutions compared to other products in order to serve better the dyeing houses. The compacting felt quality brings a special care to the fabrics thanks to its smoothest surface, has an 3excellent guiding and the best compacting rate in relations with its new exclusive compacting felt design. The DOLLFUS & MULLER sanforizing palmer felts are ideal for denim producers. The company will as well show its proven durable sanfor felts. The DOLLFUS & MULLER Sanfor felts are recognised by most of the major machine makers as the best felts. 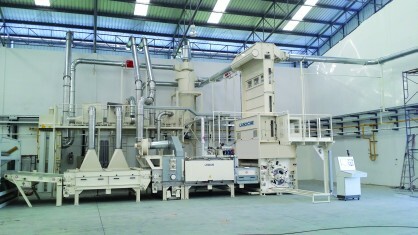 Furthermore, DOLLFUS & MULLER will display its new durable printing dryer belt quality TAMIP HT 500 NR. This print dryer belt is the most durable printing dryer belt specially designed for pigment printing of bed sheeting. DOLLFUS & MULLER will as well display its exclusive print open mesh belt specially designed for the production of fine fabrics, scarves, flags, these belts have special non marking surfaces which can avoid as well the particles on the back side. The company manufactures many exclusive dryer belts for digital printing dryers. DOLLFUS & MULLER has the widest range of printing dryer belts and the strongest dryer belts. TRELLEBORG is a world leader in engineered polymer solutions. The group has annual sales of more than 3 billion USD. TRELLEBORG’s rollers and belts operation will be exhibiting its complete product range to leading textile companies from mainland China and the Far East at ITMA ASIA 2016.The complete ROLLIN® range of rubber shrinking belts for use any compressive shrinking will be shown. TRELLEBORG offers a range of rubber shrinking belts for use on:- Sanfor, Comfit machines (3962 mm internal circumference)- Muzzi machines (2400 mm internal circumference)ROLLIN assures an optimum shrinkage and an outstanding surface aspect for the most demanding fabrics. Due to its new inner surface, ROLLIN TM guarantees better reliability and longer life time for rubber belts.